This case was designed for Situation Interactive. 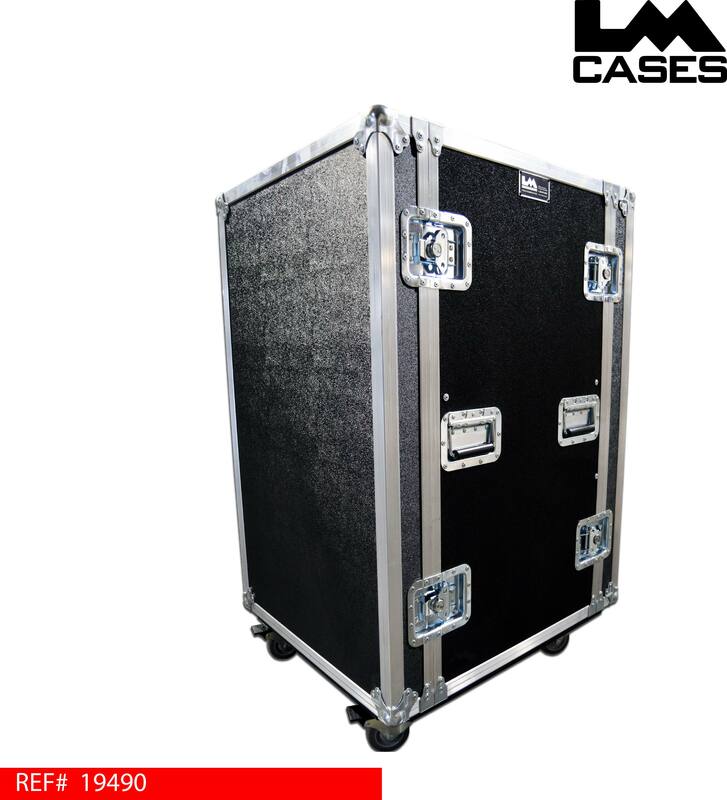 The case is designed to hold 6RU of rack mounted gear, as well as a Mac Pro tower, accessories and a rack mounted slide out shelf on the bottom of the case. The Mac Pro tower is held in a 2" foam lined compartment with a piece of white HDPE plastic on the bottom for easy loading and unloading of the tower. To the right of the computer compartment are 2 carpet lined storage compartments for prepherials; below the storage compartments is a removable 3/8" plywood storage caddy. 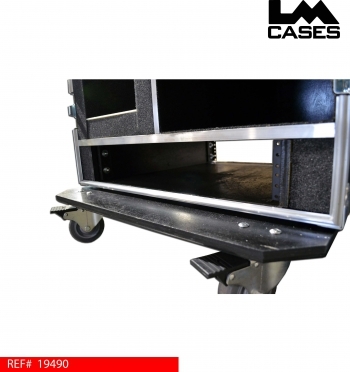 There is a total of 8 RU of storage in the case, 6 RU on top of the case for equipment and 2 RU below for a slide out rack mountable shelf. 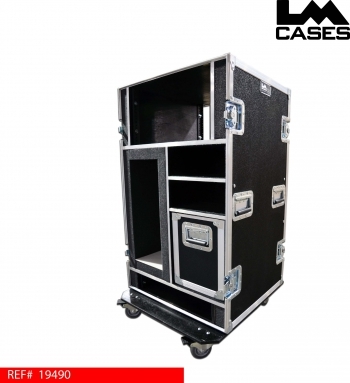 The exterior case is built out of 3/8" plywood and features 3.5" casters. Special thanks to Situation Interactive!